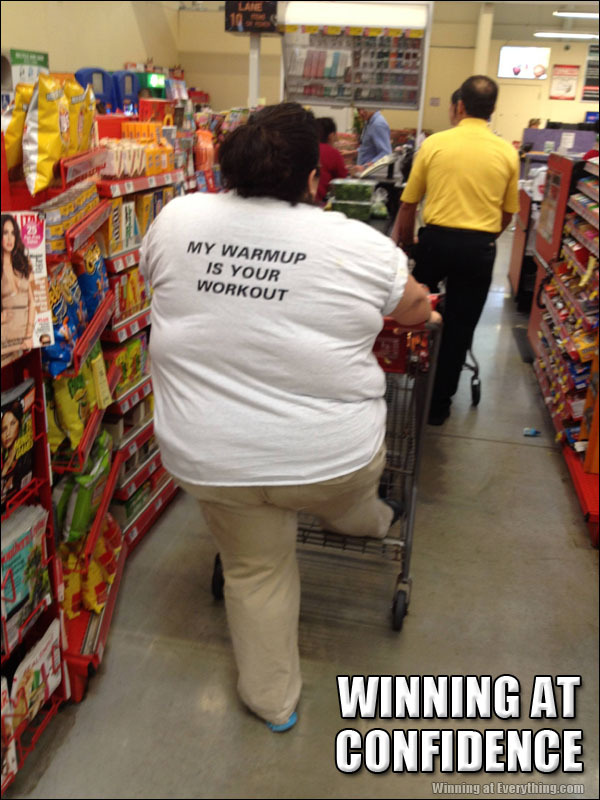 I don’t doubt her warm up is more strenuous than most people’s workouts – when you’re 600 lbs just putting your pants on is like dead-lifting a Prius. You never know what someone is going through. I clock in under 150, but managed to sprain my back in 3 different places moving (I’m super-talented at hurting myself). Sitting up is like dead-lifting a Prius, right now…forget pants (I already called off “unable to get out of bed” for the next week). Well I peed in her pool so she can crap in my oven.